Wave cheerio to the Infinity-O! One of the most dramatic changes to the latest Galaxy S range is the all-new Infinity-O display design. For those who aren't au fait with the latest Samsung marketing spiel, Infinity-O, which debuted with the Galaxy A8s last year, is an edge-to-edge screen with the proximity and ambient light sensors embedded beneath the display and a small cut-out in the top right-hand corner for the front-facing camera. Thanks to this all-screen design, which clocks in at a staggering 93.1% screen-to-body ratio, Samsung has increased the size of the OLED display in the Galaxy S10 Plus compared to its predecessor, while simultaneously shrinking the footprint of the handset so that it's smaller than the Galaxy S9 Plus. Impressed? You should be. However, it seems Samsung isn't all that impressed with its own handiwork as the Seoul-based company is working on new technology that will eradicate the Infinity-O design from its line-up within the next two years. Confirmation that Samsung is already looking beyond its new Infinity-O design comes courtesy of Vice President of the R&D group, Yang Byung-duk. The Samsung VP has described the South Korean company's ambitions to create a truly all-screen design with no notch, no bezel, and no Infinity-O style cut-out for the camera, TechRadar reports. Unfortunately, that new screen design won't be here in time for the Galaxy S11, which will presumably launch within the first few months of 2020 – if Samsung sticks to the same release schedule as it has done since the Galaxy S2 in February 2011. According to Byung-duk, Samsung is still two or more years away from producing its futuristic all-screen design, which will embed the selfie camera beneath the AMOLED panel and use the screen itself as a speaker. This avoids the need to house a speaker grill above the display or in a small notch. LG has already pioneered a similar system with the LG G8 ThinQ, which uses vibrations through the screen to transform the whole display into a boombox. 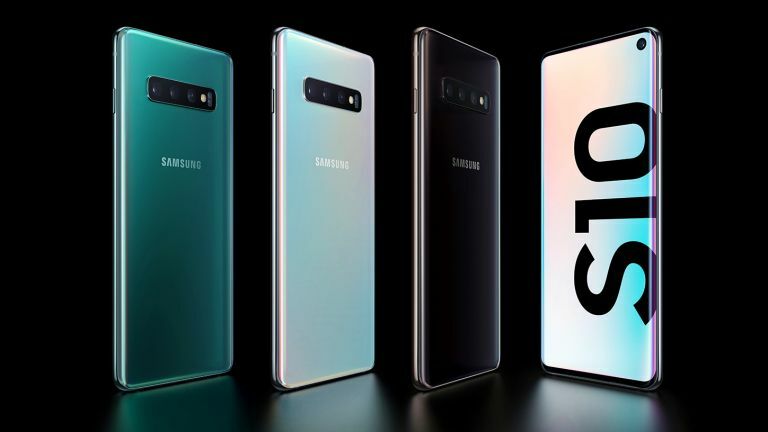 While Samsung is working out all the logistics around creating a smartphone with a 100% screen-to-body ratio, Byung-duk says the company will work to shrink the size of the hole-punch in the top right-hand corner of the Infinity-O design. By increasing the amount of usable screen real estate around the selfie camera cut-out, Samsung hopes to gradually increase the screen-to-body ratio until the hole-punch is small enough that it's effectively invisible. If all this means we can expect to see bigger screens on smaller smartphones from Samsung, that's music to our ears.